A dealership’s parts inventory is one of the most significant investments required by an OEM. It makes sense, then, that ample time and effort should be spent making sure that your inventory is as effective and profitable as possible. One thing that can quickly deplete the effectiveness of your inventory is obsolescence. Parts obsolescence creates shelves full of parts that no one wants or needs, which reduces inventory turns. Obsolescence is so destructive because your chances of selling a part greatly decline as it ages. According to Chris Bavis, an instructor with the NADA-ATD Dealer Academy, once a part is nine months old, you only have a 15% chance of selling that part. Once the part is a year old, that drops to 5%. This dead inventory can be very costly to your dealership, as it represents idle capital. It’s really no different than stocking a truck with the wrong specs that no one will want. Unused special order parts — One of the primary culprits is special order parts for either the service shop or walk-in customers that never get installed or used. If you weren’t carrying the part beforehand, it likely means you knew it wasn’t going to sell. But not getting it put on the unit it was intended for will force you to keep it on hand all the same. Mistakes that were never returned — We’re all human. Mistakes are just a part of life. At some point or another, a part you don’t actually need is going to end up on the shelf. At that point, you have to be careful not to compound the mistake by letting that part hang around the shop until it’s too late to return it. can go a long way toward preventing obsolescence in the future. Beyond that, there may be parts in your inventory that you did not even know could still be returned. There’s no good reason for obsolescence, but failing to return parts that are available for return is a tough pill to swallow. Stop buying parts you no longer need — Most parts guys who are supporting the shop will likely have a pretty good grasp on which parts are moving quickly and which ones have been sitting there for months on end. Parts needs change with time. Be flexible with the parts you order. If something isn’t selling like it used to, don’t order it anymore. Re-evaluate your stocking criteria — This goes hand-in-hand with your purchasing habits. It’s possible you are ending up with unsold parts because the stocking criteria within your system is not set up correctly. Making sure it is done correctly from this point forward will help you to make sure you are ordering everything you need and nothing you don’t. Establish and maintain a special order parts procedure program — We talked earlier about how often unused special order parts can serve as a cause of obsolescence. To nip that in the bud, it’s imperative that your shop have a program in place for how to handle special order parts from the time it is ordered until it goes on a unit. Be vigilant about returns to the manufacturer — Not taking advantage of return availability is another top cause of obsolescence, but it can easily be prevented. It does take some time, effort, and willingness to stay on top of it, but getting returns back out the door as quickly as you know they are going to be returned will help you stay out of a situation where the parts were forgotten or a deadline for returning without a penalty passed. Sell to another dealer— The old adage that one man’s trash is another man’s treasure can certainly be true in the parts business. Depending on the type of customer serviced, location, or size of the operation, the parts needs of one warehouse can differ greatly from another seemingly similar operation. Don’t be shy about reaching out to someone else to see if they have any use for the parts you don’t need. Not only is there the possibility that you will be able to unload some parts, but it gives you a good chance to network within the industry and build relationships. Donate to a tech school for tax purposes — For a more “outside the box” solution to fighting obsolescence, consider donating unneeded parts to a local tech school. Not only could you be in line for a tax write-off for your donation, but you will be helping the next generation of technicians get the tools they need to get the best education possible. And it never hurts to get to know the people at tech schools. They may end up being a good source of future employees. Obsolescence is a very real issue that dealerships have to be careful to avoid, but by putting some processes in place and keeping a close eye on your inventory, you can make it all but a thing of the past. 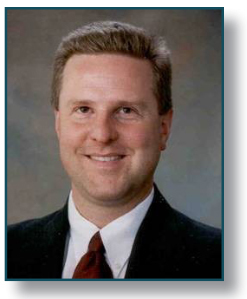 A graduate of Greenville College in Greenville, Illinois, Mike Schien spent six years in a sales and management capacity at Henry Pratt Company in Aurora, Illinois before joining Karmak in 1996 for the opportunity to join the family business. After spending his first 11 years with the company as a regional manager covering Illinois, Indiana, and Wisconsin, Mike has spent the last six years as a Software Applications Specialist. Mike enjoys seeing his software demonstrations turn into sales to future business partners. To help him better serve those customers and understand what they go through, Mike is set to graduate as part of ATD Dealer Academy Class 027. A resident of the Chicagoland area, Mike volunteers at his church, loves spending time with his family, enjoys traveling, and is a sports fanatic, particularly the NFL and MLB.